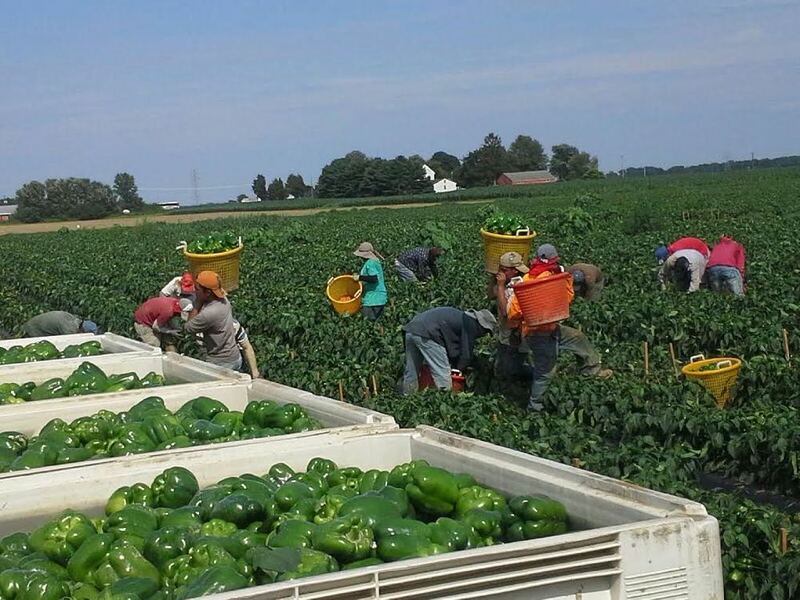 Dusty Lane Farms grows over 60 acres of bell peppers on black plastic, staked and tied by hand. We utilize soil moisture sensors and drip irrigation to optimize irrigation and fertilization efficiency. Peppers are machine seeded in our greenhouse in early March and are machine planted by May 10th. Harvested by hand, our crews start in mid July and harvesting continues until mid October. The peppers are sold to Eastern Fresh Growers for packing. Later in the season we sell to Grasso Foods in Swedesboro NJ and F&S Produce in Rosenhayn, NJ for processing.